Some attorneys handle extremely high volumes of DUI cases. As a result, they may treat DUI defense as “one size fits all,” and do not change their method or approach to take into account individual circumstances. If you have been charged with a DUI, you do not want to be treated like a number. You want to be treated like an individual and feel that your case is being given the attention that you deserve. Effective representation means that your attorney strives to understand the specific context of your situation and tailors your defense accordingly. We are prepared to handle DUI cases at both the misdemeanor and felony level and to answer any questions you may have about the process in general or your case in particular. We will work to craft a flexible strategy that takes into account any speed bumps that may arise over the course of your defense. We do not believe in one size fits all defense. 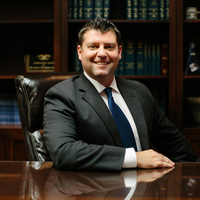 We have handled hundreds of DUI cases and are familiar with the issues that may arise over the course of an individual’s defense. As a result, we are prepared to craft a defense that is specific to your situation. Whether you are facing a criminal traffic violation or a DUI charge, an experienced attorney can explain your options, including possibilities that you might not have been aware of. However, seeking representation as soon as possible is vital. If you have been charged with DUI or a traffic violation in Dover, contact us today for your free consultation.